Replacement bezel for an aquaero 5 and 6 PRO. 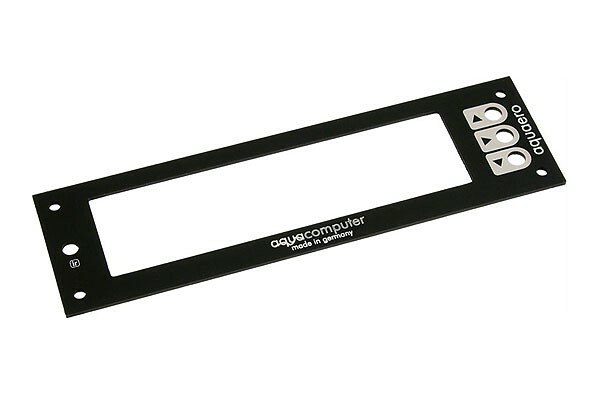 The aquaero 5 PRO ships with a stainless steel bezel, using this black anodized aluminum bezel, the aquaero perfectly matches any black PC case. The aquaero 5 and 6 PRO is not included in delivery and must be ordered seperately. The second figure shows the bezel mounted to an aquaero (not included in delivery).